Raumfahrt+Astronomie-Blog von CENAP - Blog: Raumfahrt - Boeing und Lockheed neue Rakete heißt Vulcan, welches ein Problem ist. The United Launch Alliance has announced the name of its next-generation rocket: Vulcan. The rocket is a collaboration between ULA (which itself is a Boeing-Lockheed Martin partnership) and Blue Origin, the space company owned by Amazon's Jeff Bezos. Blue Origin is designing the thrusters to replace expensive and politically toxic Russian rockets on the old systems. The Vulcan rocket seems to be gunning for SpaceX, which is grabbing headlines for its reusable rocket tests that are meant to slash the price of spaceflight. The Vulcan team is working on a first stage descent that can be grabbed by helicopter rather than landing upright, a la SpaceX's Falcon 9. It combines features of the Atlas and Delta rockets into a new class that ULA says will lead to more affordable space launches. ULA's long-term goals are ambitious. Beyond the new rocket, it envisions a new crew capsule and eventually a plan for human habitation in space and asteroid mining. Space Policy Online has the details of the enormous plan. There's just one problem: the name. 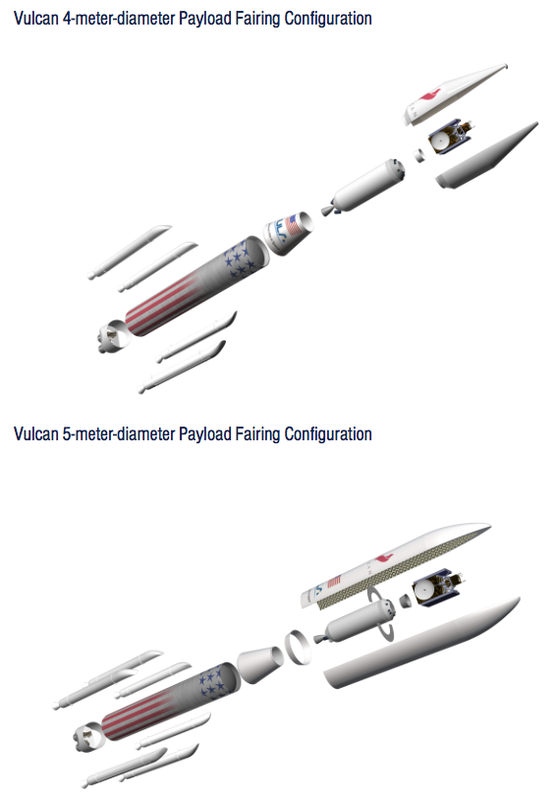 Vulcan was the winner of ULA's public voting campaign. However, it turns out that just yesterday billionaire Paul Allen named his new aerospace venture to run alongside Stratolaunch. Its name? Vulcan Aerospace, a moniker that comes from Vulcan, Inc., Allen's venture capital company that also bankrolls Stratolaunch and a series of AI upstarts. The ULA can have its rocket. They just can't call it Vulcan, Allen's firm says. According to an article in the Denver Post, Vulcan Aerospace says they've got the trademark on any rocket named "Vulcan." The runner-up names in ULA's contest include Zeus and GalaxyOne, so perhaps it will choose one of those if Allen won't cave. Or they could get really ornery and rename their Vulcan rocket the Romulan. The new Vulcan rocket was the center of attention for ULA as company president and CEO Tory Bruno excitedly described the rocket’s capabilities during a presentation at the 31st annual Space Symposium in Colorado Springs, Colorado, which is the space industry's premier international conference. “It’s gonna take the best parts of Delta and Atlas and combine them with new and advanced technologies to provide a rocket that is not just reliable and certain as Atlas has been but also much more powerful, higher performance, greater flexibility and significantly more affordable,” Bruno said of the Vulcan. Those attributes were the central focus of Bruno’s presentation on the Vulcan, which he expects will be put to use at VAFB and Cape Canaveral Air Force Station in Florida as soon as 2019. Bruno detailed much of the new rocket’s performance upgrades — it will have 350-plus percent more lift than current models and an advanced upper stage — but it was the rocket’s reusability that he said had him most excited. Thanks to a new Sensible, Modular, Autonomous Return Technology, or SMART, the boosters for the rocket’s first stage will be able to be used again and again. After blastoff, the boosters will fall back to Earth, where they will have their descent slowed with the use of a parachute before getting caught in the air by helicopters. “For all practical purposes, we’ll have unlimited starts and restarts with this system,” Bruno said. Thanks to the Vulcan’s energy saving technology and reusability, Bruno estimated that each launch would cost less than $100 million. That would be down significantly from the roughly $225 million that launches currently cost. “We’re realizing the true commercial potential of space,” Bruno said. To prepare for upcoming Vulcan launches, ULA will outfit one launchpad each — a “pad of the future” is how one ULA employee described them — at VAFB and Cape Canaveral. A ULA representative said that more information on what exactly that will entail will become available in the coming months. Delta rocket production will cease in 2018, Bruno said. ULA gave America the chance to name its new rocket. Bruno noted that ULA performs about 70 percent of the nation’s launches, so he said it was fitting that the people have a say in naming the rocket. The CEO said he thought the company would get about 1,000 online votes for the name. He said he was “blown away” by the more than 1 million actual votes. “Behold the powerful Vulcan rocket,” he said after revealing the winner. The next ULA launch from VAFB is scheduled for Aug. 27, when an Atlas 5 will carry a classified payload for the U.S. National Reconnaissance Office. The next launch at VAFB is scheduled for July 22, when a SpaceX Falcon 9 rocket will launch the Jason 3 ocean altimetry mission. United Launch Alliance (ULA) CEO Tory Bruno unveiled the next generation Vulcan Rocket at the 31st Space Symposium in Colorado Springs. The Next Generation Launch System (NGLS) rocket will encompass a mighty American-made engine, four to six solid rocket boosters, and the ability to be re-used via an ambitious mid-air capture technique. The design of the Vulcan rocket, or NGLS, is much more cost-efficient for ULA customers whether it be used for defense and national security, human spaceflight endeavors for NASA, or the growing commercial space market. The Vulcan Rocket will be able to carry payloads anywhere from low-Earth orbit to the outer reaches of the Solar System. Vulcan will make launch services more affordable and accessible. It will encompass an American engine produced by Blue Origin known as BE-4. The partnership was announced last year to replace the Russian-made RD-180 engines that currently power the company’s Atlas-V fleet of rockets. As described in a previous AmericaSpace article, the new BE-4 engine will use liquid oxygen and liquefied natural gas to propel it into space. Created for low-recurring cost, the BE-4 engine will involve state-of-the-art manufacturing techniques and design. 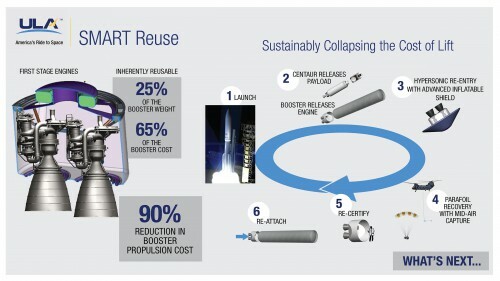 The BE-4 engine will also meet requirements under commercial, NASA, and the United States Air Force (USAF) Evolved Expendable Launch Vehicle (EELV) program. 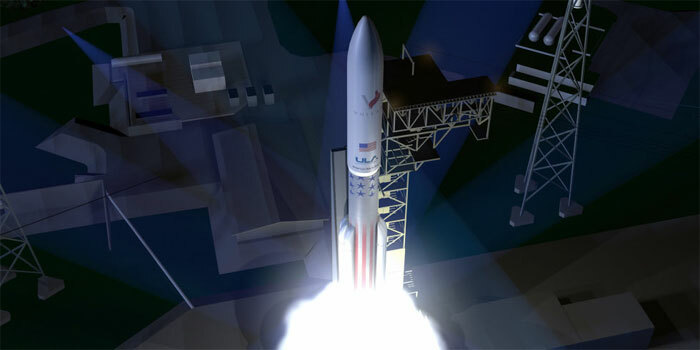 Step Two of the Vulcan Rocket will replace the Centaur upper stage by a more powerful Advanced Cryogenic Evolved Stage (ACES) that will enable America’s next rocket to reach the capability of today’s Delta IV Heavy rocket. According to Bruno, the NGLS will cost “less than half” of the current $400 million heavy-lift rocket. (The Delta IV Heavy was last used to propel NASA’s Orion spacecraft from the Kennedy Space Center on its maiden EFT-1 voyage.) By replacing the Centaur second stage with ACES, it can achieve almost “unlimited burns, extending on-orbit operating time from hours to weeks.” ACES will enable the NGLS to have greater capabilities than any competing rocket on the market. Another interesting initiative unveiled by Bruno is the Sensible, Modular, Autonomous Return Technology (SMART) that will allow the ambitious rocket launch company to capture and reuse the booster main engines, the most expensive part of the Vulcan first stage, by a mid-air capture via helicopter. Unlike SpaceX, ULA’s competitor that plans to land its Falcon 9 rocket on a landing pad, the mid-air capture enables a controlled environment providing the assurance necessary to recover and re-fly the rocket hardware. Bruno expects the first step Vulcan Rocket to fly in 2019, and ULA plans to downsize from four launch pads to only two—one at each launch site. It is currently unknown if Vulcan will fly from Cape Canaveral Air Force Station (CCAFS) in Florida or Vandenberg Air Force Station (VAFS) in California. In Step One, the Vulcan will exceed the competency of the magnificent Atlas V rocket and serve the majority of ULA’s customer needs. Step Two will incorporate the powerful ACES to replace the Centaur upper stage and is slated to fly in 2023. The rocket launch company did not choose the name themselves, but instead allowed America to choose the name of the next generation rocket in an online voting competition. Bruno chose a creative way of announcing the name by tossing two of the three hats on his podium into the audience and placing the last one, “Vulcan,” on his head. Behind him a black curtain dropped to unveil a backdrop with the Vulcan name and logo.